Joanna Gaines and her husband, Chip Gaines, are co-founders and co-owners of Magnolia Homes, Magnolia Market and Magnolia Realty in Waco, Texas. Together, they also host HGTV's Fixer Upper, where Joanna serves as the lead designer and Chip handles construction. Joanna appreciates the old ways of living, simple and hard-working with home at the center of it all. Joanna, also known by friends and fans as "Jo" or "JoJo", was born in Kansas and raised in the Lone Star State. She graduated from Baylor University with a degree in Communications and was inspired to join the world of design while interning in New York City. Joanna decided to open a home decor shop, Magnolia Market, in 2003; bringing her NYC-inspired ideas and eye for design back to Waco, Texas. She soon discovered this passion complemented Chip's construction experience, and together they began remodeling and flipping homes. 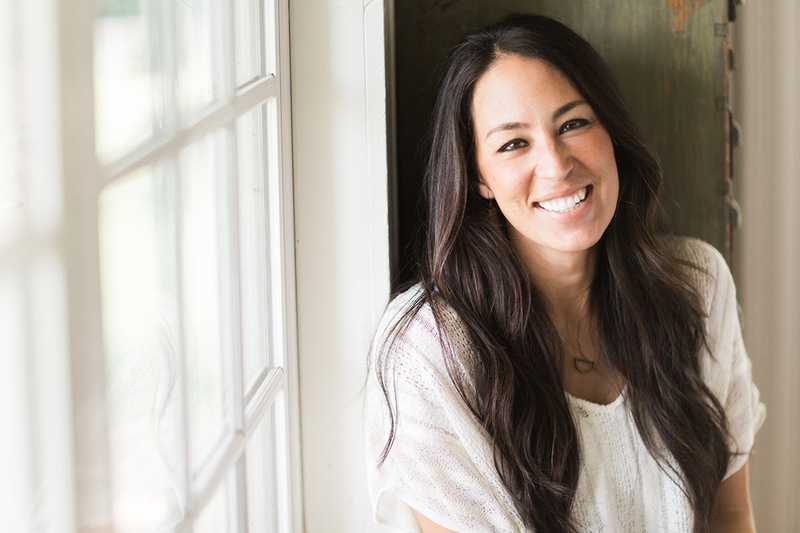 In between filming for Fixer Upper, their home renovation projects, and managing the Magnolia businesses, Joanna enjoys life on their farm, writing for her blog and spending time cooking family recipes in her kitchen. Gardening soothes her soul and being with her four kids dominates all other favorites.